Have you noticed tiny holes in your plastic fuel containers? 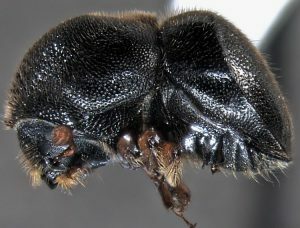 You may not consider this damage could be due to an insect, but the residents of Florida’s panhandle have to contend with the ethanol-loving camphor shot borer, Cnestus mutilatus. Camphor shot borers are invasive ambrosia beetles from Asia. The were first detected in Mississippi in 1999, and have spread throughout the Southwestern USA. They have been present in Florida’s panhandle for at least six years. They are most active between March and September. Adult camphor shot borer. Photo: Javier E. Mercado, USDA/FS Rocky Mountain Research Station. Camphor shot borers are tiny black beetles in the subfamily Scolytinae. Their preferred hosts are sweetgum trees that are stressed or damaged. Broken branches or flooded roots cause the tree to emit small amounts of ethanol, which attracts these beetles. This means they can also smell the ethanol in fuel containers and mistake it for its host plant. Carlton, C. and V. Bayless. 2011. A Case of Cnestus mutilatus (Blandford) (Curculionidae: Scolytinae: Xyleborini) Females Damaging Plastic Fuel Storage Containers in Louisiana, U.S.A. The Coleopterists Bulletin 65(3): 290-291. 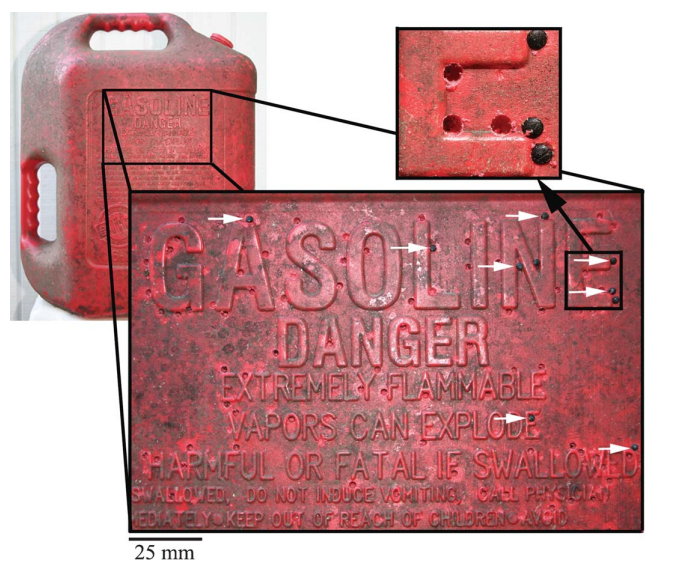 The damage to fuel containers leads to gasoline leaks, which is hazardous to people and detrimental to the environment. A recent article in the Gainesville Sun describes a group of U.S. Geological Survey staffers who became stranded when their boat ran out of gas due to camphor shot borer damage to their fuel line. Thankfully, the crew made it back to shore safely. Boat owners are encouraged to check their tanks and fuel lines for any sign of damage. Plastic fuel containers should be kept in a secure location and checked for any leaks or leaching that would attract the beetles. Owners of sweetgum trees should be especially cautious for any sign of camphor shot borers. 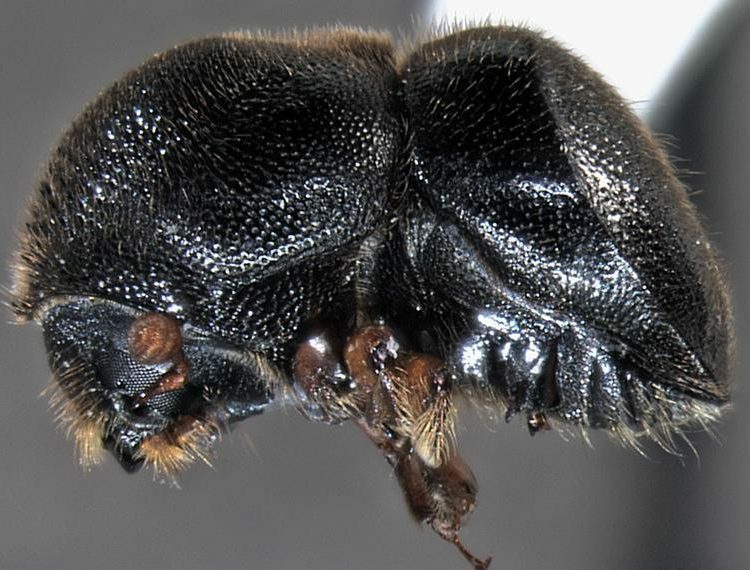 For help identifying this beetle or any forest pest, check out the Southern Forest and Tree Health Diagnostics Facebook page run by Dr. Jiri Hulcr. You can also contact the DPI Helpline (1-888-397-1517) or send a specimen to the UF Insect Identification Lab.